Now that they are back in from their holidays the National Hunt horses are walking and trotting. After a quiet period during the summer, the first signs of the coming winter campaign were showing at the yard today, ironically on one of the warmest days that this August has had to offer. The National Hunt horses are back in and are starting to do roadwork, and there was a good turnout for breakfast with their owners coming to see them. On top of all that Linda announced that the winter menu for breakfast would be starting next week! 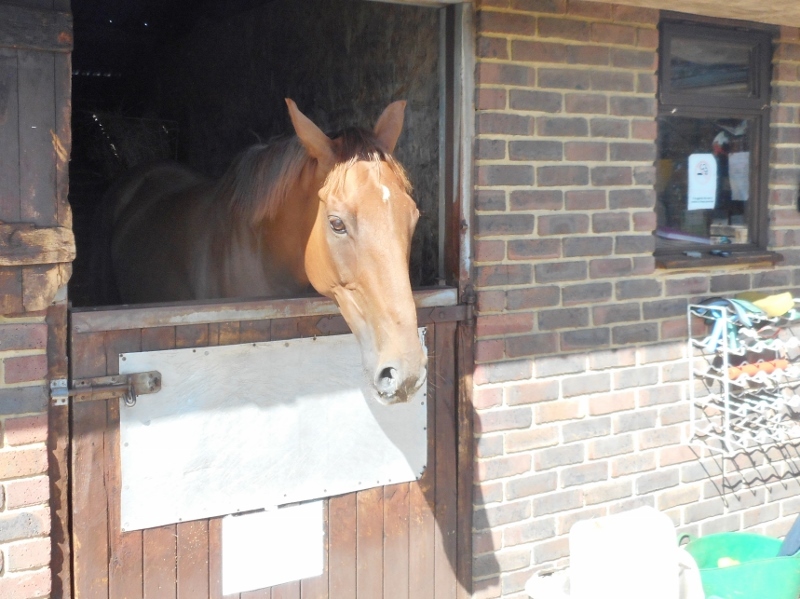 Itoldyou, enjoying the sunshine, is back in for the new campaign.